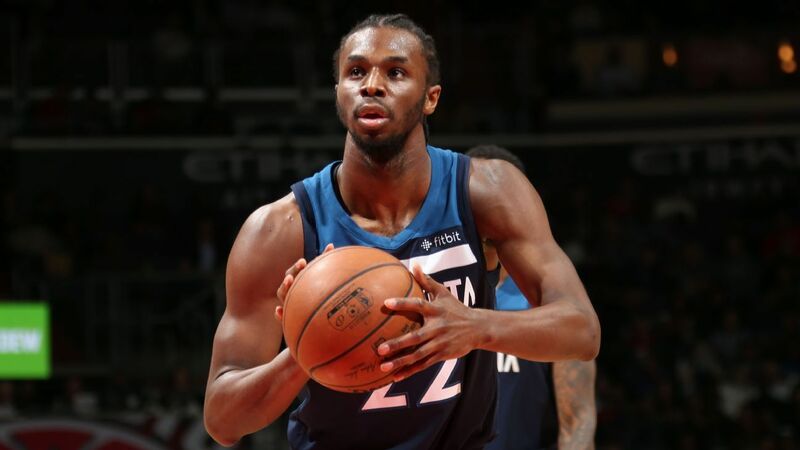 Andrew Wiggins and the Minnesota Timberwolves lost to the visiting Atlanta Hawks by missing free throws, dunks and layups. Wiggins, a 74 percent free-throw shooter, was Minnesota's biggest offender of the strip, with between 123 and 120 overtime losses. He was 5 out of 12 and heard about it from a frustrated native crowd. But Wiggins did not take the boos kindly. "These are fans for you," Wiggins said. "We have a few fans, and we have some good fans, so it works." Wiggins and the wolves were dissatisfied from the start; Wiggins forgot to wear his jersey under his warm-up suits, and it went down in a hurry. "It happens," said Wiggins. "It's one of those days and one of those games." In injury time Karl-Anthony Towns made two free throws, before Wiggins two strokes with 4.5 seconds before the finish went. After missing two big free throws a few seconds before, Wiggins scored the first goal, but missed his second. The Timberwolves solved a 22-point deficit after Atlanta silenced domestic viewers prematurely with 42 points in the first quarter. The Wolves kept the Hawks at a total of 47 points over the next two quarters. "We came out of the second half and played with the advantage we should have for all 48," Towns said. "We got into that position, we dug out of a huge hole, we just did not close it." Derrick Rose scored 25 points for Minnesota, but sprained his right ankle late. He started again for Jeff Teague, who missed his sixth straight game with an inflammation in his left ankle. This report uses information from The Associated Press.